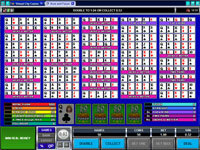 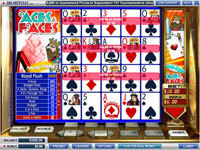 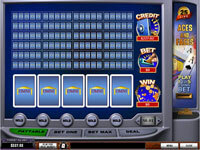 You can compare Aces and Faces offered by online casinos. 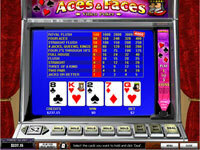 Read the review of a Microgaming Aces and Faces Poker with paytable and list of casinos where game is available. 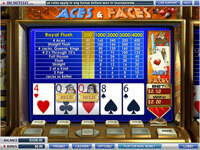 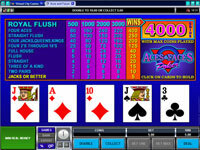 Read the review of a Playtech Aces and Faces Poker with paytable and list of casinos where game is available. 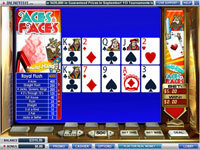 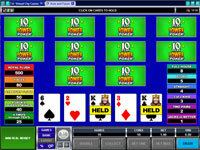 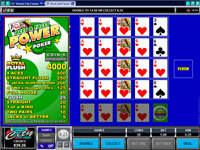 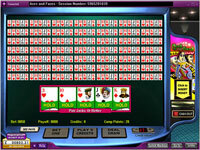 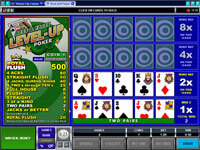 Read the review of a Rival Aces and Faces Poker with paytable and list of casinos where game is available. 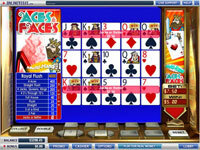 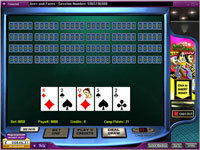 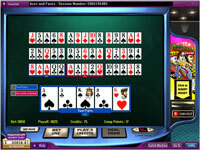 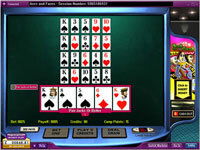 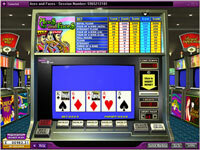 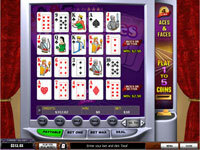 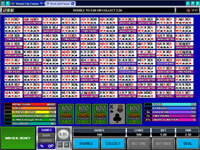 Read the review of a WGS Technology Aces and Faces Poker with paytable and list of casinos where game is available.